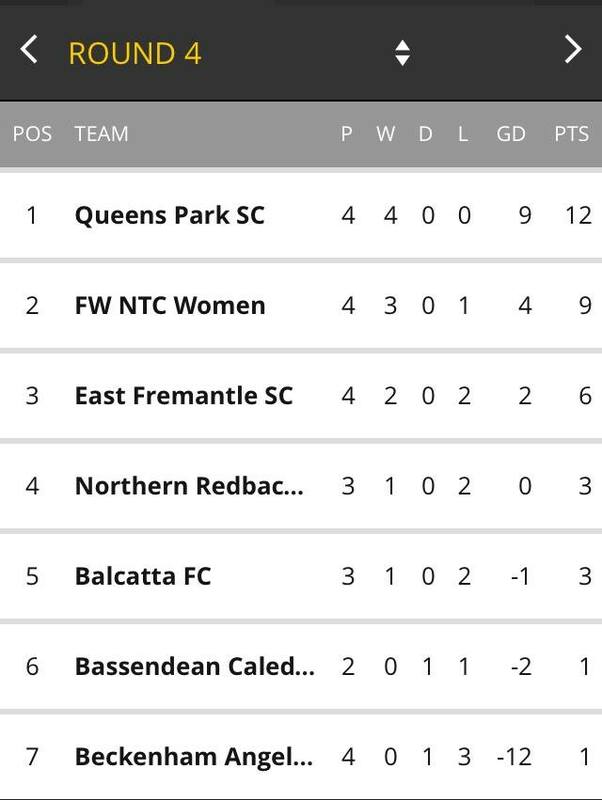 Coach Ben Anderton expects Queens Park to carry the winning feeling into the Bankwest Women’s State League season after wrapping up the Consolidated Energy Women’s Night Series as undefeated champions. Queens Park will kick-off their season at Mills Park on Thursday night when they face a Beckenham Angels side in a development phase under new coach Greg Farrell. “I just want the girls to keep going from where we left off in the Night Series,” Anderton said of his side’s penalty shoot-out win over the National Training Centre squad. “We had a good finish with a win over a strong team. It was good to go three (games) unbeaten, but for the rest of the season all I’m looking for is for the girls to perform on a weekly basis. Anderton has been impressed with Beckenham’s progress under new coach Farrell. “I’ve heard good things and I’ve watched the way they play this year,” he said. Anderton expects NTC to continue to perform well this season but is prepared for a few surprises, too. “I think there are quite a few quality teams this year so it’s hard to pick one, but we saw NTC in the Night Series and the young girls there are looking dangerous this year,” he said. Beckenham coach Farrell has overseen a number of changes to the team since last season. “There’s been a big regeneration at the club and we have about three or four first team players that are still at the club after a big off-season,” he said. “It’s not the goal for us at the moment to be trying to win the competition. With the group that we have, we just need to go game by game. Farrell has tipped NTC, Northern Redbacks and Queens Park to perform strongly this season. “From what I’ve seen of Queens Park during the Night Series, they’ve got very good players all around the field so I dare say it’s going to be very quick tomorrow night. “They’re a very technical side so I would suggest it’s going to be a very hard and fast game. 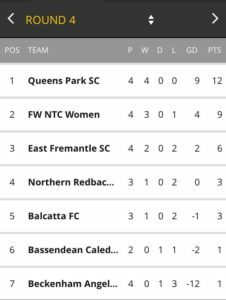 Northern Redbacks kick off their campaign against NTC on Sunday and will be looking to win the competition for the third consecutive season. NTC finished fourth in the 2016 season but after making it to the Night Series finals this year are considered strong contenders for the title in 2017. 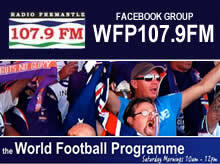 East Fremantle, who finished seventh on the league ladder last season, will take on Balcatta on Sunday at Wauhop Park to kick off their campaign, while newcomers Bassendean Caledonian start their season the following week when they take on Beckenham Angels on April 30.